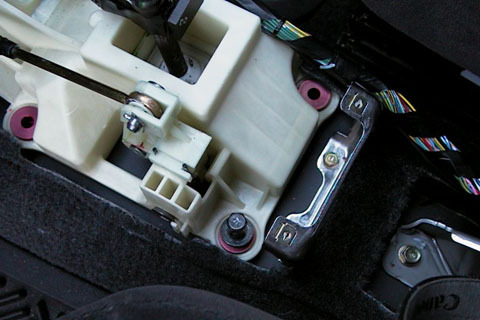 The stock rubber bushings that the shifter assembly is attached to does a great job for dampening any vibration that may be trasnmitted through the chassis. 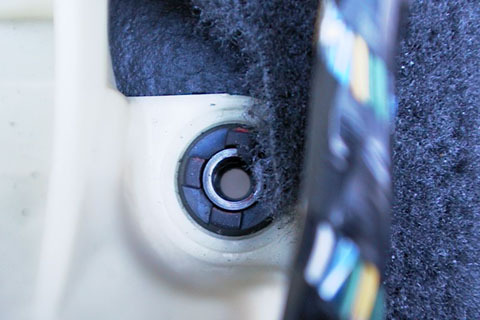 However this gives the shifter quite a bit of play, which does not help in shifter feel. 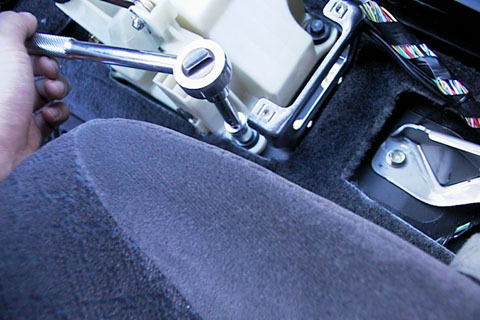 By replacing these rubber with metal bushings, the shifter will feel more precise and less finicky. I’ve also found that the problem with the cable shifter binding also happens far less. 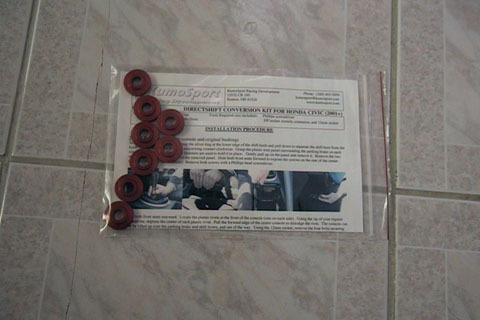 This is what you get when you order the KumoSport Bushings. 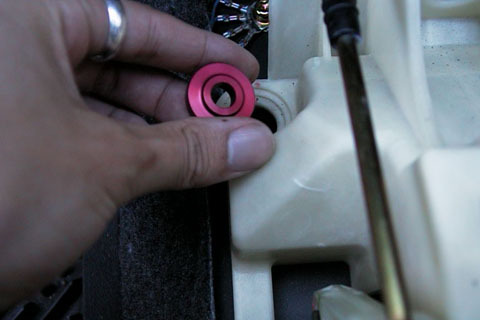 It comes with a basic instruction sheet and these aluminum bushings which are anodized red. The instructions are pretty straight foreward and this DIY is probably redundant, however my extra pics may help who knows. The 8 bushings replace the ones located at these 4 mounting points. You’ll see that a set of 4 go under the plastic base, and a set on top sandwiching the base. Here is a close up of where the bushings are seated. 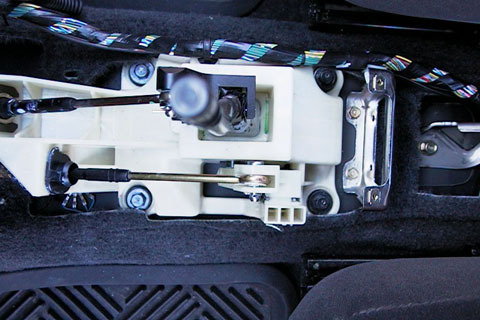 You’ll need to use your socket wrench to undo the bolts that are holding down the shifter assembly. Replace all the rubber bushings with the aluminum ones. Re-mount the shifter assembly to the chassis and tighten down all the bolts. 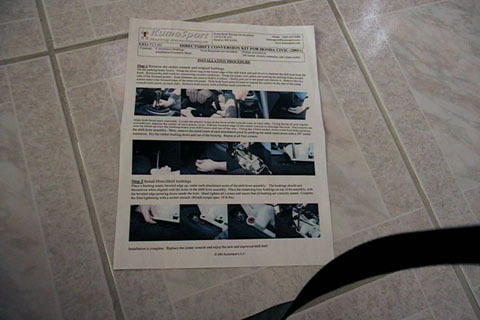 You’re currently reading “Install KumoSport Bushings,” an entry on Ghosty’s 2K1 Honda Civic Coupe.